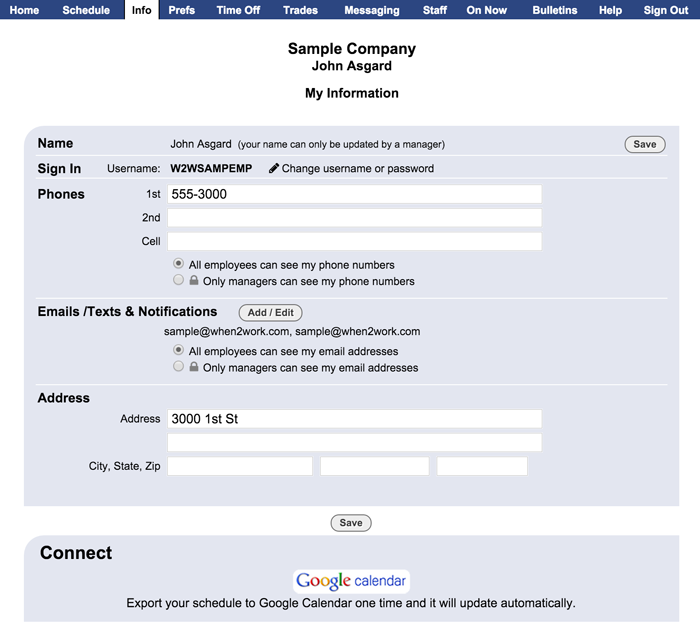 Your manager may have entered some of your information into WhenToWork already. You can change your information and settings yourself on your Info page. The only thing you cannot update is your name, which can only be done by your scheduling manager. In the top menu, choose Info to go to the My Information section. You can change your username or password by clicking the "Change username or password" link next to your username. Click here for more detailed instructions. After making whatever changes you would like to these settings, be sure to click the Save button.